This tutorial gives an overview about common scenarios you might encounter when implementing your GraphQL server with graphql-yoga and Prisma. In the GraphQL API of your application layer, you now want to expose a computed field, e.g. the fullName that's composed of the firstName and lastName. For more info about what's going on, check out this article on the info object. createDraft(title: String!, authorId: ID! ): Post! With the current resolver implementation, the author relation of a Post object can not be resolved! This is because the posts resolver returns a list of Post objects where each Post object only contains scalar values - no relations! The author fields are not fetched by the client when invoking the posts method as is done in the posts resolver. The way to resolve this situation is to introduce "type resolvers" for the Post and User types with explicit resolvers for the relation fields. When the GraphQL server now receives the nested query from before, it will not only invoke the posts resolver, but now it can also invoke the author resolver to fetch the author for each Post object. Note that the parent argument that's passed into each resolver is the return value of the previous resolver execution level. 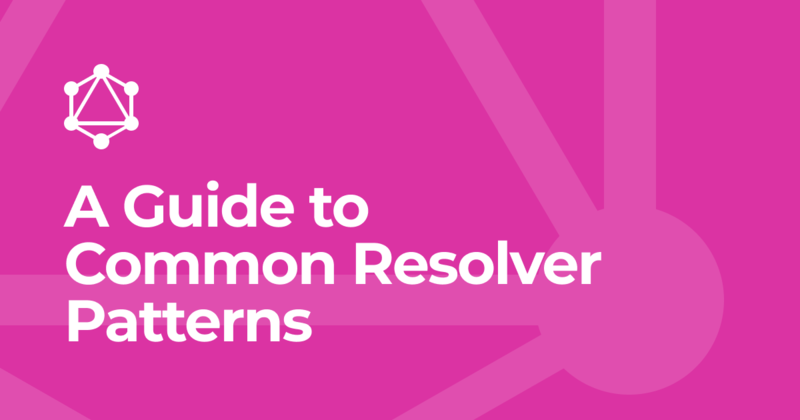 You can learn more about the query resolution process and the resolver arguments in this article. This scenario is based on the typescript-basic GraphQL boilerplate project. Adding a new address field to the User type in the database, with the purpose of exposing it in the application API as well. Suppose we want to add a custom resolver to delete a Post. Start the server with yarn start.